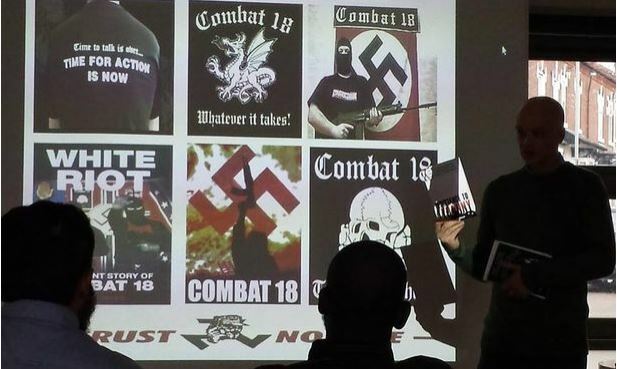 A FORMER leading light in the violent world of neo-Nazism has revealed a plot to recruit Birmingham and West Midlands teachers to the far-right. 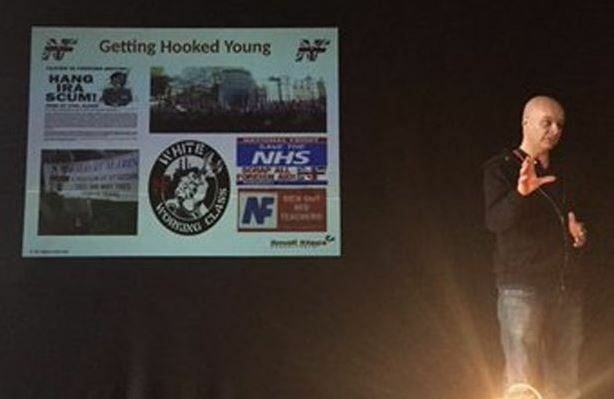 Nigel Bromage has documents from ultra-right wing group Combat 18 – extremists committed to a thuggish White Revolution – outlining the drive to take the fight to classrooms. The 51-year-old, from Stechford, believes fascism prevents a greater threat than ever before because Brexit has provided disillusioned and dangerous individuals with the catalyst they crave. And it is feared their growing influence may lead to a sharp spike in hate crime. “The far right is more dangerous because it is splintered into 30 groups,” Bromage said. 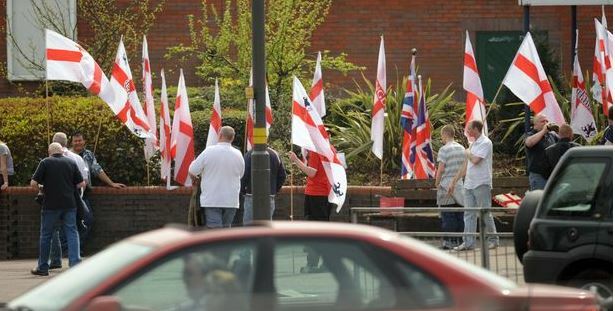 “In the West Midlands, Combat 18 and the Ku Klux Klan present the greatest threat. Documents we have received, siphoned from a Combat 18 forum, clearly outlines the outfit’s ambition to spread its mantra of hate in schools. Those who fall under the spell of the far right are given a simple guide to winning over pupils in their care. They are trained to ask nationalistic questions in classrooms, then feign ignorance about the answers. Those answers are provided in pamphlets handed by foot soldiers outside the school gates Bromage claims. It is a ploy he knows only too well. He was lured into extreme politics by a leaflet presented to the teenager outside Colmers Farm School, Rubery. The father-of-two speaks from experience. 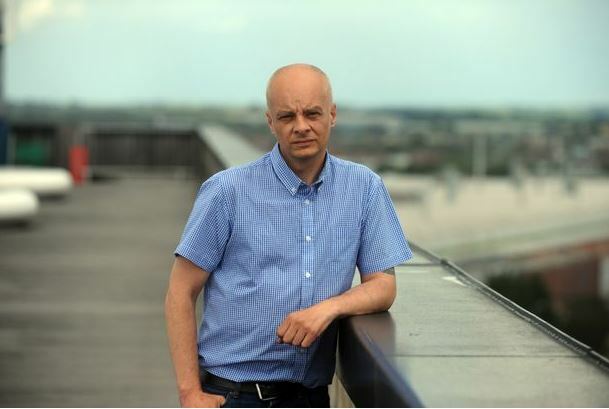 After 20 years in the upper echelons of such organisations as the National Front, British Movement and Combat 18 himself, he broke free, sickened by the violence, and scared by the threats. The community worker now fronts Small Steps Consultants, an organisation which educates schools, universities and public bodies about the threat posed by neo-Nazis and spells out the cost, in torn lives, of the propaganda of racial division. Bromage knows all about the cost. It cost him his marriage: his wife, who despised the extreme political path her husband marched along with such pride, gave Nigel a “them or me” ultimatum. He chose the far right. But after denouncing the organisations he served, he lost more – he was forced to flee Birmingham and his job. 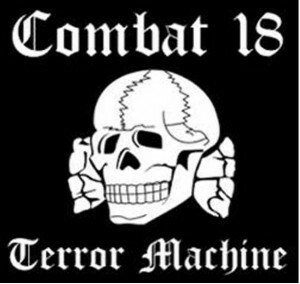 Police intercepted a letter bomb with his name on it, sent following a simmering feud within Combat 18. It is a bizarre statement from a man who was the British Movement’s West Midlands organiser and helped launch C18, but Bromage has never considered himself a racist. That is why he rushed to the aid of a black family set upon after a Birmingham C18 meeting, he says. That is why he washed his hands of the grubby business. For him, “England first” was the hook and he readily accepted that the English came in many creeds and colours. In fact, Bromage never fitted the public perception of a far-right poster boy. There were no tattoos, savagely shorn hair or leash-straining bull terrier. As a security manager, he was the smiling, friendly face, the man entrusted with customer care. But the soft words hid the bile that poisoned his patriotism. He admits being driven by a belief that the changes he craved could only come through violent insurrection. “The British Movement march at Marble Arch in the early 1980s was particularly horrific,” he admits now. “People were getting hit by iron bars and bricks. The clan mentality of fascism is highly addictive, Bromage discovered. He was politically groomed with the same patient, meticulous planning used by paedophiles to ensnare their prey. He was approached at the school gates, given near-parental care when his own parents died – mum Joyce died of cancer when he was 18, and dad Ronald was killed in a car accident when he was 23 – taken by his new “family” to football matches and gradually isolated from friends. It was six months before the teenager realised his new colleagues had a common bond, their extreme political views. They moved hell and high water to ensure he joined their party. Geographically, the youngster was in a prime location for indoctrination. Northfield, Bromage maintains, was a National Front heartland. So, too, were Kingstanding and Chelmsley Wood. Recruitment began at the age of 15 when he was handed a leaflet at the school gates. There was no mention of the National Front. “I did come from a political family,” says Bromage, “but my parents were more to the left. “Dad was a trade unionist and shop steward. I had black friends, Asian friends and my favourite band was Steel Pulse. The National Front was avuncular in its delicate handling of the new recruit. “For six months, what they did was listen,” says Bromage. “They played on the fact that my father and grandfather were in the forces. After six months, I got an envelope and there was an NF membership card in it. I told them I had a bad opinion of the NF, that I had nothing against blacks and Asians. “They stressed that was not what they were about. They asked ‘If you had three pots of money, who would you give them to?’ I said I’d give one to Britain, one to Africa, and one to help end world poverty’. By 1987, Nigel’s political beliefs were hardening. Disillusioned with the string of NF local election failures, he joined the British Movement, a marginalised knot of extremists with a well-earned reputation for violence. Its members believed they were engaged in a war, a siege mentality they thought justified the violence they brought to the streets. Bromage rose to the rank of West Midlands organiser, but was uncomfortable with the Movement’s philosophies. “The British Movement always supported a united Ireland,” he says. “That was something I didn’t support. If that happened, the IRA would’ve won. From that dialogue, Combat 18 – the name is derived from Hitler’s initials, A and H are the first and eighth letters of the alphabet – was spawned in the late 1980s. Nigel’s beliefs, and the actions taken to activate those beliefs, had darkened. “At the time, I thought violence was necessary,” he admits. “As frustration set in, we saw violence as a way of achieving our goals. Sites used included Sutton Park and Cannock Chase, he reveals. “In Birmingham city centre, by the law courts, there was a meeting and when we came out all hell broke out,” recalls Bromage. “There was a black family at a bus stop and it was going to kick off. I felt that was not acceptable. That sickening scenario sowed the seeds of doubt in Nigel’s mind. When he learned that a letter bomb had been destined for his home address following his disagreement with Combat 18, he knew it was time to distance himself from the hard right. Breaking free from the grasp of neo-Nazism proved hazardous for Nigel Bromage. Bromage now educates others about the dangers of radicalisation by the far right. He has turned his life around, but there is one thing he can never get back – the ethnic friends he was wrenched from. “They had long gone, unfortunately,” he says. “Some had no time for me, others were simply scared. Bromage has discovered, to his immense cost, that the stain of the far right takes a long, long time to scrub clean.